No one wants to admit that taking care of kids 24/7 can lead to burnout, but it's not an uncommon part of motherhood, especially if you're a stay-at-home mom. Luckily, there are things you can do to help avoid overwhelm. You can prevent mommy burnout by taking a few extra steps that stop you from feeling like you're a full-time daycare worker with no breaks or days off. If your support system isn't behind you then mommy burnout may quickly appear on the horizon. Avoid negative people who don't have your back. While you can't avoid everyone, you can make sure the majority of people in your life are supporting you and are always there for you. From getting your mother-in-law off your back to sometimes making difficult decisions to exclude certain types of unsupportive people from your life, you need to have a team of people who are positive, on your side and not judging every decision you make for your family. Just as you want to avoid the negative people as much as possible, you want to surround yourself with as many positive people as you can. If you currently don't have a support system in place, create one. Find mom friends through playdates, support groups, your children's school, or even standing in the line at the grocery store. Other moms are a wonderful resource because they've been there/done that and can relate to exactly what you're going through now. Confide in your own mom, a sibling or other relative about the challenges you're currently facing. Without a good support system in place, you can quickly become an overwhelmed mom headed straight for burnout. Ask most moms who comes first in their house and they'll say it's the kids. But if you're not taking care of yourself, you can't take care of everyone else. Put yourself first. It doesn't mean you're not taking care of your family and doing what's right for them. It simply means that you are the engine of the household and you have to be taken care of or the whole family suffers. It's not only okay for you to take time for yourself, but it's also something you must do to prevent mommy burnout. Start a new hobby, take classes for women, or pick up a work-at-home job if it's something you want to try. Those little things you do for yourself make a huge difference in your emotional health and how your household operates without frustration continually mounting. There's a reason we call them "significant" others. Their role is significant as we go through the many stages of parenting together. Although it is very easy to do, don't put your relationship on the back burner. As exhausted as you may be at the end of the day, make time for your significant other. A simple daily conversation with your partner can give you the emotional boost you need on those days you're feeling burnout coming on. Connecting with your partner every day makes a huge difference in your outlook for tomorrow. Simply looking forward to time to decompress with your significant other at the end of the day can get you through those challenging parenting times. Your family is a team and your spouse can help you up off the field when you feel like you just got blitzed by your own players. Many partners want to help but we can make them feel like invaders because they're not feeding the kids the way we do or putting them in pajamas the way we would. Your SO can be a great resource. Just step back and let them do their thing. It doesn't matter if the kids eat fruit cocktail instead of the applesauce you prepared after dinner or that they're wearing the horse pajamas instead of the dog pajamas you had planned. It's very easy for parents to become deadlocked when it comes to helping out. Mom has her way of running the ship because she's there all day in the trenches. Then your partner comes home and feels better about opting out of helping because they don't want to interfere with your plans. Give yourself some relief. The time is good for your partner and kids and you two working so closely together as the team that you are can help strengthen your relationship, too. A recent study says kids feel their parents are distracted by their gadgets. Not only do your kids see you with your gadgets in your face all the time but you're also giving yourself unnecessary stress with all that tech time. With all of those perfect parent Facebook posts you see in your timeline, you're just putting unrealistic pressure on yourself to be that perfect parent like your Facebook friends. Remember, not everyone is going to be completely honest about their life as a parent. Most of your friends are not going to post about the frustrating mom days when their youngest attempted to flush an entire pack of baby wipes down the toilet while their oldest took a dozen eggs outside to see if he could fry up some lunch on the hood of the brand new family car. Go gadget-free for most of the day and almost instantly you'll feel like a weight has been lifted off of you. Moms seem to have an inner critic that never sleeps. This inner critic makes moms question just about everything, including their performance as parents. That constant criticism isn't good for anyone and makes you feel like you're failing as a parent. Be bold and tell your inner critic to shut up! You're doing a great job. Some days you'll feel like you're barely surviving at-home parenting. But you're a good mom and you can't win every parenting struggle. In fact, you don't even need to try to win every parenting battle. 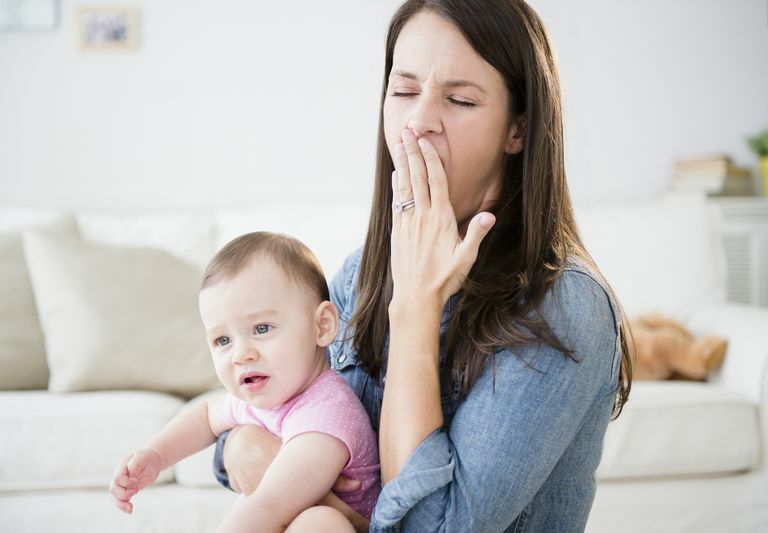 Typically, we think of mommy burnout as something that moms of newborns experience, especially because of sleep deprivation. But mommy burnout can happen at any time if mom isn't getting enough rest. Get some sleep, mom. Regardless of your children's ages, they need a good night's sleep. And you need a good night's sleep to keep mommy burnout at bay. After all, no one functions well if they haven't slept long enough. Add kids into the equation and you definitely need to get some good rest to be a happy mom ready to face another day of sibling spats, diaper changes and driving kids all over town. You can't do everything so don't even try. Saying no may make you feel guilty that you're not doing everything that is asked of you but it shouldn't. You have to know when to say no. You are one person and you can't do it all. No one can so shed those guilty feelings. In other words, say no to baking 300 cookies for the bake sale, sewing costumes for the school play and volunteering as a coach for this season's soccer team. Limit the projects you accept to two or even one at a time and make sure you're not the go-to person month after month. Otherwise, you'll set yourself up for mommy burnout on a massive scale. Just as you need to know when to say no for yourself, you need to know when to say no to your kids. It's impossible to get your daughter to dance class at 4, shoot across town to drop your oldest son at soccer practice by 4:30 and criss-cross back across the city to get your youngest to T-ball by 5. Overscheduling your kids can easily lead to burnout for all of you so know when to say no to save your sanity. There's always next season for that sports team or other activity. Try to build in at least one day during the week that your family doesn't have to be anywhere after school. Simplify your days to add in that free time and you'll make mommy burnout less likely. Sometimes it's easier to do things for our kids than to get them to do it themselves. But raising an independent child who understands responsibility begins with letting them do things for themselves. Sure, it may be easier to let your son pour his own orange juice, even though he'll probably spill some of it on the counter. However, he can learn how to do it for himself while also giving you a break at the same time. He'll be proud of his accomplishment, even if it's not perfect, and he'll soon be ready to take on bigger responsibilities. The more he takes on himself, the less you have to do. And every little bit helps you. Yes, it's true. You deserve a break from your child. Find a mom's-day-out program that works around your schedule. See if a family member would like to have a standing playdate for your child to come over for an hour or two or just every now and then. Start a babysitting co-op to swap babysitting time with other parents at no cost to you. Look into childcare options that are flexible and affordable. And don't forget your break shouldn't just be used for you to run errands or do chores. Use your break for you-time, a night out with your girlfriends or a date night with your spouse. The continual demands of parenting can easily lead to stress. And stress can quickly lead to mommy burnout. If you don't take breaks, get sleep and have others helping you out, to name a few, that stress continues to add up. You never have time to recharge yourself and you may find everything feels like it's piling up on you. Look for the signs of stress in yourself. Also, recognize if you're actually feeling the symptoms of depression. It's easy to become a stressed out or depressed mom. Don't be afraid to seek help. As much as you love your kids, parenting can take its toll on you. Talk to your doctor honestly so that you can get back to being a happy, healthy mom.